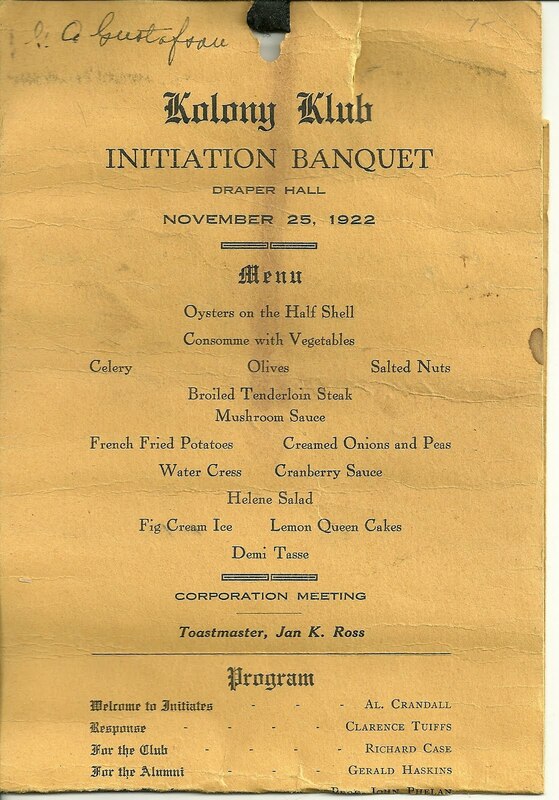 Memento for a November 25, 1922 Initiation Banquet of the Kolony Klub at Draper Hall. 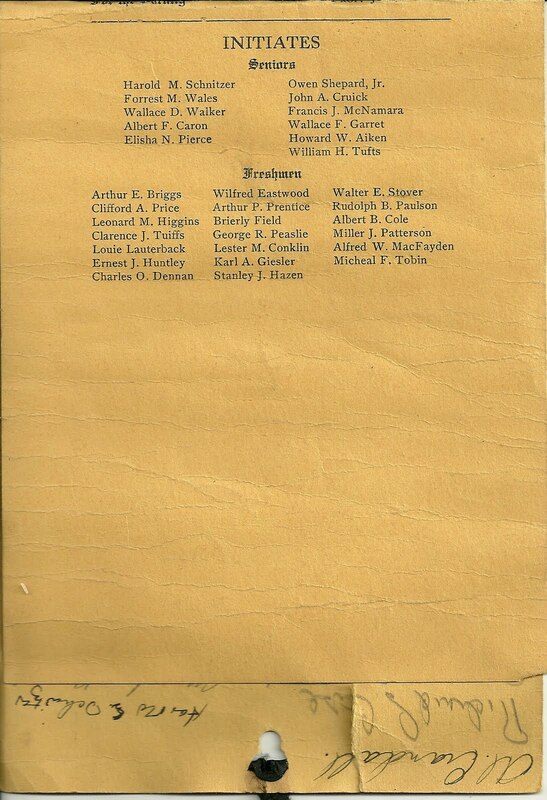 From a bit of online research, I think this piece is related to the Massachusetts Agricultural College at Amherst, Massachusetts, which later became the University of Massachusetts at Amherst. The piece is approx. 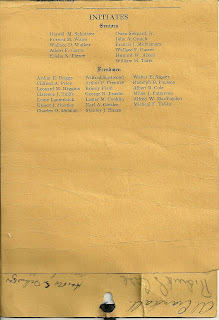 15" x 5-1/2", one sheet, and I have scanned it in four sections. Images 1 and 2 are the front side; images 3 and 4 are the reverse. 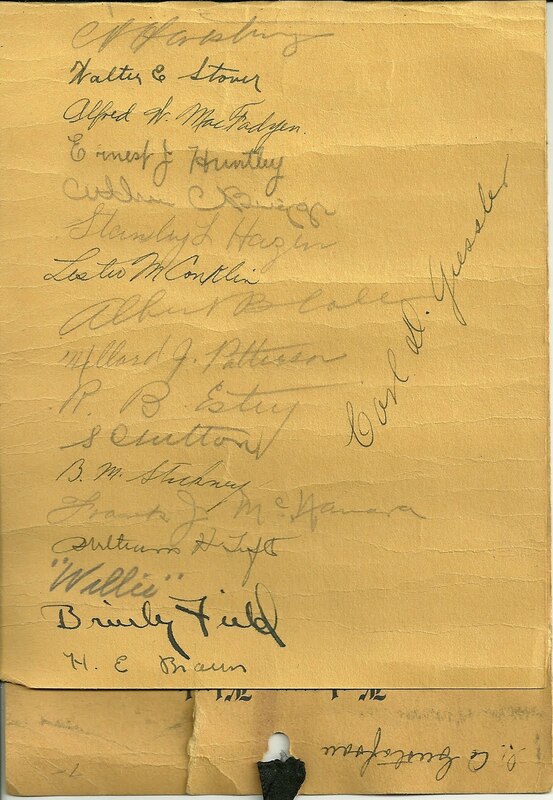 This piece apparently belonged to A. Gustafson, whose name appears in handwriting at top front. 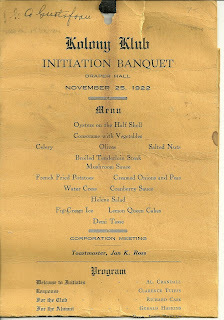 The front shows the elements of a sumptuous meal enjoyed by all, along with the Program and Names of Initiates. 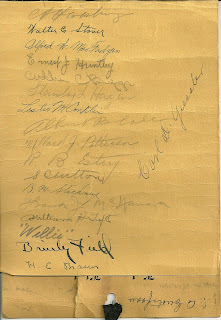 The reverse is covered with autographs of participants. 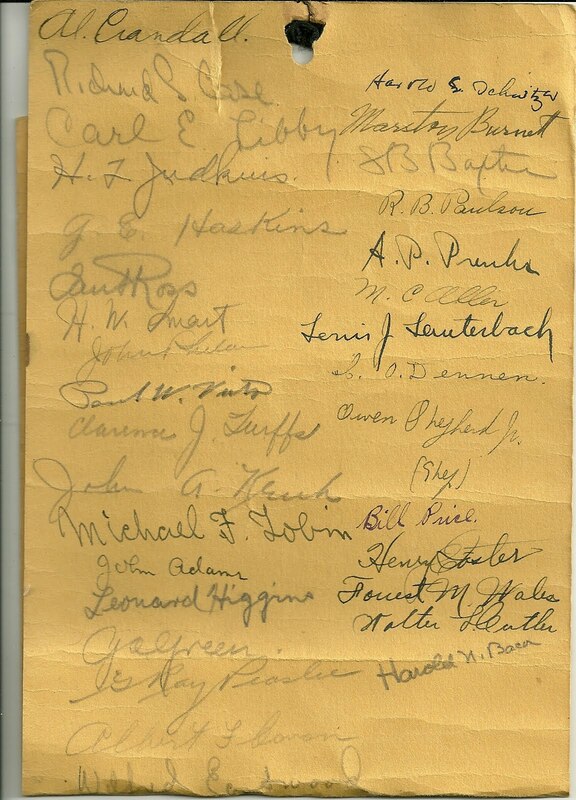 More people autographed the program than are shown in the printed list. 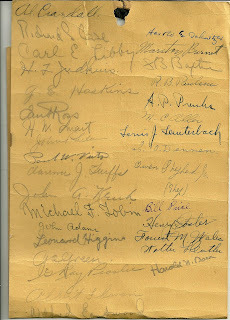 Apparently there are some errors in the spelling of the printed names, judging from the autographs - see notations above. I may have missed some errors. Hopefully you will find this memento meaningful. Thanks for stopping by!